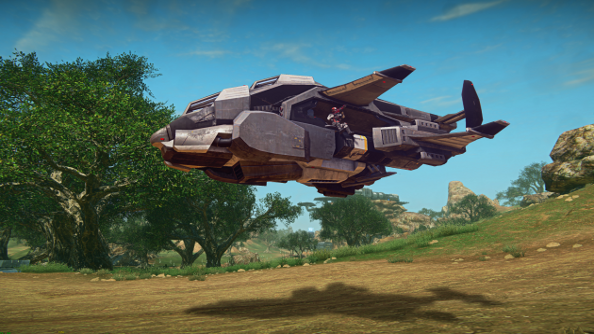 In PlanetSide 2, I fly on instinct. This involves flailing around wildly while yelling “we’re all going to die!” It’s very relaxing. And now the dangerous skies of Auraxis are set to get busier, with the introduction of the first new aircraft to hit the game since launch: the Valkyrie. Take a gander at the gunship in action, below. The Valkyrie is both a troop transport and a fleet gunship, packing forward turrets to give it some air support utility. Six soldiers can be crammed inside it, one piloting, one manning the guns and four passengers just along for the ride. SOE’s also put together a “making of” feature.